The Martyrdom of Bab? – July 9th « Dr Deborah Swallow – Global Cultural Diversity..
After having lived in many countries, traveled through various cultures, and read piles of academic books it’s always humbling to discover that there’s still basic knowledge in this world that I haven’t acquired. Today is the Martyrdom of the Bab, (according to the BBC: “a major holy day”) and until this morning I had never heard about it. My immediate reaction was skepticism: the day must not be that major…Turns out, Martyrdom of the Bab is not only a holiday I’ve never heard of, but that it’s a part of the Baha’i fate, a religion completely unknown to me. And, this religion is not even a very distant one: there are approximately 6 million Baha’is in the world, 6,000 of them in the UK. Realising that there is a world religion out there (or, out here, in London, probably!) which I had never heard of felt the same as finding out that Pluto is no longer a planet. The row of paper mache planets I had built in third grade is now dated and inaccurate because it includes Pluto, a whole extra paper mache ball which, I found out a few years ago, has not been considered a planet since 2006. First of all, Baha’i is the youngest of world religion. It was founded in Iran in 1863 by a young Iranian who called himself The Bab. The Bab, literally translated, means gate. The basics of the Baha’i religion seem very advanced and postmodern (which puzzles me even more, not having heard about it, but having studied cultural theories in university). Bahai’s are extremely open towards other religions and they accept all beliefs of having true, valid origins. In fact, Baha’is say that in this world we only have one real faith: the faith of God. Different religions are simply different methods and approaches to the same religion. Therefore, Baha’is study other religions as “earlier chapters to the same changeless faith of God.” To the Baha’is, different religions exist because different societies and times have different needs, and today’s different religions are merely the different stages in the evolution of faith. But, so, what is the Martyrdom of Bab? In the mid-1800s Bab had many followers in Persia, but, just like in the origin stories of many world religions, the state did not like his ideas and he was imprisoned. After some time, a new ruler came to power, and he decided that Bab was to be killed. One of Bab’s devout followers begged to join Bab’s fate, and his wish was granted. They were taken in front of the military and shot multiple times. When the smoke cleared, Bab’s follower stood there unharmed and Bab had disappeared. He was later found from his cell, but the miracle had scared the soldiers so that a new squad had to be called in. This time both Bab and his follower died. 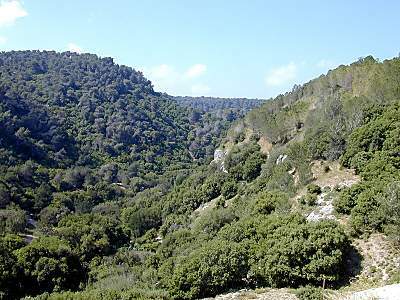 Their bodies were buried in the Mount Carmel in Israel, which now is a place for pilgrimage for Baha’is from around the world. During his life Bab had preached that a new prophet, or a messenger, would come, following the line of Moses, Muhammed, and Jesus Christ. Some Baha’is are still waiting today for this prophet to arrive. Now all I can say is that I’m one religion wiser. Happy Martyrdom of the Bab everyone! This entry was posted on Monday, July 9th, 2012 at 9:00 am and is filed under days of significance, General, other interesting stuff . You can follow any responses to this entry through the RSS 2.0 feed. Both comments and pings are currently closed.